Sacrificios Humanos entre los Mexicas, Realidad o Fantasia? Germs, Plagues, Famine, Invasion, Friars, And Native Allies! "Religious Aspects of the Conquest of Mexico"
Viva Mi General Francisco Villa! Introduction to Deloria's "We Talk, You Listen"
Prologue: "The Stars We Know: Crow Indian Astronomy and Life-ways"
Frida Kahlo is Not Our Hero! disappears in accordance with the needs of his people. translation slightly to emphasize those features. America." Robert H. Markman and Peter T. Markman. In the great city of Mexico Tenochtitlan. . . . They called themselves Teochichimeca, Azteca, Mexitin. The idol that they worshipped. In far-off Culhuacan, in Tona Ichuacan or Tonallan. And the people of Malinalco—for all of them came. And they took the women's skirts and huipiles. Rather, they go about with their bottoms bare, uncovered. In this manner they abandoned the people of Michoacan. And transformed herself into a sorcerers. That they abandoned her and her fathers while they were sleeping. `O my fathers, the work that Malinalxoch does is not my work. For battle is my work. I shall confront the cities everywhere. I shall provide people with food! And the cotton of variegated colors! It was for this that I was sent here. And now, O my fathers, ready the provisions. Let us go! Off there we are going to find it!…"
When Malinalxoch awakened, she wept. She said to her fathers, "O my fathers, where shall we go? 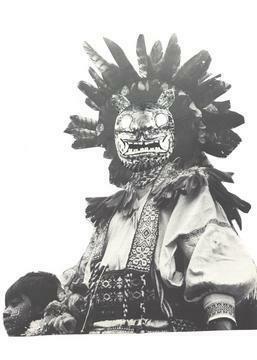 My brother Huitzilopochtli, had abandoned us by trickery. Where has the evil one gone? Let us seek the land where we are to dwell…." They established themselves upon it…. And the child of Malinalxoch, a son named Copil, was born. He was king of Malinalco…. The others settled at Coatepec…. And constructed his skull rack. Then they blocked the ravine, the gorge. And the water collected, it filled up. This was done at the word of Huitzilopochtli. "O my fathers, the water has collected. Plant, sow, willows, bald cypresses, reeds, rushes and water-lilies! And the birds, ducks, American coots, and the "red-shouldered"
"The Izcahuitli are my flesh, my blood, my substance." "O priest, the work for which you came shall be done here. You shall arouse the cities. The diverse flowers, the diverse fruits, the diverse riches. You have become the ruler of your city, here in Coatepec. Here!" The Centzonhuitznahua beseeched him. "What are you saying?" he said. Are you better than I? I know what I must do!" And he took up his shield…. But Huitzilopochtli did not want it so. And the water broke the dam. And all the birds perished. He went off with his fathers, his vassals, the Mexicans…. Then Huitzilopochtli gave orders to the Mexicans…. wait, for I know what is to happen. There is where we shall posses it. "O my mother, well I know that your brother is off there." "Yes, your uncle, named Huitzilopochtli, is yonder," she said. He abandoned me by trickery along the way. Then we settled here in Texcaltepeticpac." "Very well, O my mother," said Copil. In the place he has settled. And the vassals that he took with him. Who is to behold the manifold riches. And it shall be I. Of the diverse flowers and diverse fruits. O my mother, be not sad. I go now to seek out the evil one, my uncle…." He arrayed himself, he adorned himself, he who was called Copil. Copil was a very evil man. And in the place called Zoquitzinco he transformed himself. It is now called, all of us call it, Itztapaltetitlan. And in the place called Tecpantzinco he transformed himself. He recognized his nephew, now grown, called Copil. Me nephew, the evil one, is coming. I shall destroy him, I shall slay him!" "Who are you? Where are you from?" Again he spoke to him. Malinalxoch, brought into the world?" "And I shall capture you, I shall destroy you! Why did you abandon my mother while she was sleeping? Why did you abandon her by trickery? "Very well," Huitzilopochtli said, "Come ahead." And they captured Copil in Tepetzinco. And when he had slashed open his chest, he tore out his heart. And there the head of Copil died. He ran off with Copil's heart. "You have wearied yourself, O priest." "Come, O Quauhtlequetzqui," he said. "Here is the heart of the evil one, Copil. Run with it into the rushes, into the reeds. And his seats, one red and one black. And you shall cast away the heart of Copil." Then Quauhtlequetzqui went off to cast away the heart. It fell in among the rushes, in among the reeds…. In the year 11-Reed, 1295… the Mexicans passed through Zacatla…. Once again they went to Chapultepec…. 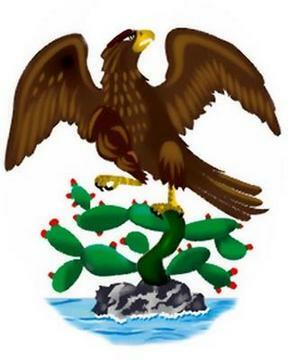 The Xochimilcas, Cuitlahuacas and Chalcas besieged the Mexicans…. The Mexicans were besieged in Chapultepec in 2-Reed, 1299. Then the Mexicans moved to Acuezcomac…. And all the Mexicans gathered in Tepetocan. Then from there they went to Culhuacan. Coxcoxtli was the king of Culhuacan…. "My fathers, say to Coxcoxtli, `where shall we live?'" "O lord, O king, we are beseeching you. We have known this to be your city. Coxcoxtli replied, he said, "Very well." "O lord, O King, let them go there," his chiefs said. "Let the Mexicans live beside the mountain, here in Tizaapan." Then they took them, they established them in Tizaapan. "O lord, O king, we have taken the Mexicans to Tizaapan." "Good," Coxcoxtli said, "They are monstrous, they are evil. For it is the dwelling place of many snakes." But the Mexicans were overjoyed when they saw the snakes. They roasted them over the fire, and they ate them…. "O my fathers, another person shall appear whose name is Yaocihuatl. She is my grandmother and we shall have her. And hear this, O my chiefs, we are not to remain here. We shall find the place off there. There is where we shall possess it…. That you ask Achitometl for his child, his daughter. For I know he shall give her to you." They went to ask Achitometl for his daughter. Your daughter, our granddaughter, the princess. There, beside the mountain in Tizaapan she will keep guard." 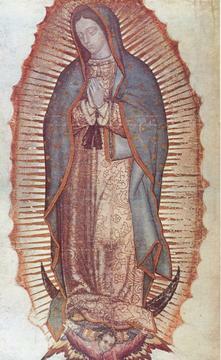 Achitometl said, "Very well, O Mexicans, you may take her with you." He gave her to the Mexicans. They settled her in Tizaapan. When you have flayed her, you are to dress a priest in her skin." And after they flayed her, they dressed a priest in her skin. "O my chiefs, go and summon Achitometl." The Mexicans went off, they went to summon him. `May he come to see, may he come to greet the goddess. Achitometl said, "Very well. Let us go." The Mexicans have invited us…." "You have wearied yourself, O my grandson, O lord, O king. May you see, ma you greet your goddess." "Very good, O my grandfathers," he said. He set them down before the false goddess whom they had flayed. And Achitometl saw a man in his daughter's skin. He cried out, he shouted to his lords and to his vassals. He said, "Who are they, eh, O Culhuacans? They have flayed my daughter! They shall not remain here, the fiends! We shall slay them, we shall massacre them! The evil ones shall be annihilated here!" They drove them into the water…. They crossed on their arrows and shields. And, sitting upon them, they crossed the water…. When the Culhuacans pursued them. Their insignias, their shields—all their gear. And their women and children began to weep. They said, "Where shall we go? Let us remain here in the reeds…." The two of them went to look for the place they were to settle. They saw the many wondrous things there in the reeds. Quauhtlequetzqui, or Quauhcoatl, and Axolohua, the priest. That there he was to keep guard. Thus he sent off the Mexicans. That lived there in the water. And when they saw this the old men wept. They said, "Perhaps it is to be here. When he sent us off. And now we have seen them, we have beheld them! It has come true, his words when he sent us off have come true!" "O Mexicans, let us go, for we have beheld them. He knows how it shall be done." Then they came, they sojourned in Temazcaltitlan. There is something you still have not seen. And on it, standing on it, you shall see an eagle. Where you halted in Tlalcocomoco. Among the rushes, among the reeds. And from Copil's heart sprouted what is now called Tenochtli. We shall await, we shall meet the diverse peoples in battle. And thus our city shall be established. And where the Serpent is torn apart. And many things shall come to pass." Let all the old men, your fathers, hear." To the edge of the spring. It was pecking at what it was eating. And when the Eagle saw the Mexicans, he bowed his head low. (They had only seen the Eagle from afar). And some bird's feet and bones. "O Mexicans, it shall be here!" (But the Mexicans did not see who spoke). It is for this reason they call it Tenochtitlan. "O happy, O blessed are we! We have beheld the city that shall be ours! Let us go, now, let us rest…." This was in the year 2-House, 1325.
emerging Chicano movement of the 1960's? blood is our power, our responsibility, and our inevitable destiny. Movement.Video. NLCC Educational Media, 1996. Cabeza de Vaca and Coronado parties. 1720s: The Spaniards founded about 30 missions in Texas. 1800: The Spanish population of Nuevo Mexico was about 20,000.
along the 42nd parallel to the Pacific Ocean. 1821: Mexican independence from Spain. 1825-1832: Stephen F. Austin founded the Austin colony in Texas. 1845: Texas entered the U.S. as a state. 1849: Gold was discovered in California. 1850: California entered the U.S. as a state. 1850: New Mexico Territory was established. 1863: Arizona Territory was established. 1880: The Southern transcontinental railroad traversed the region. 1912: New Mexico and Arizona entered the U.S. as states. I turn to Simplicity, I turn again to Purity! ¡De nican para tech quixtizque xtopa tech mictizque! De aquí para poder sacarnos, primero tendrán que matarnos! I Heard Nothing! .... I Saw Nothing!